The hartebeest maybe somewhat odd in appearance, but are remarkably one of the fastest and enduring runners among antelopes. This grassland antelope is mostly found in west, east and southern regions of Africa. Hartebeests are large animals with a fawn-colored coat. There are several sub species of this animal. 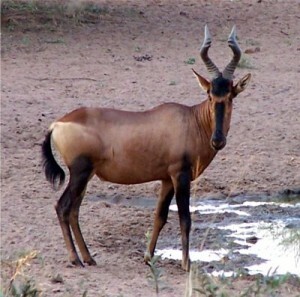 The hartebeest happens to be one of the three species that come under the classification of the genus Alcelaphus. Males and females can be distinguished by the color of their coats. The males usually have a dark brown colored coat while those of the females are yellow brown in color. One will also notice that the bottom two-thirds of the horn of the hartebeest have distinct rings. It is also notable how these rings are more slender in case of the females. Size: Hartebeests are almost 5 feet (1.5 meters) in height. Weight: These animals can weigh about 120-200 kilograms (265-440 lb). Color: The color of its coat can be red, tan, golden brown and sometimes even black. Legs: It has thin, long legs. Face: Its face is long and narrow more so attributing to its awkward appearance. Ears: This animal has pointed ears that are quite distinct. Tail: Its tail comprises of long dark brown or black hairs. Horns: These animals have horns that are usually set quite close to each other towards the base. 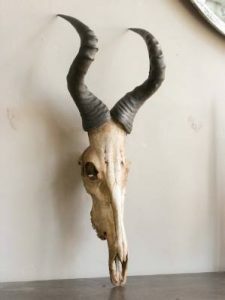 The horns have an interesting shape. They happen to have a slight forward curve thereafter which it goes outwards and again point back inwards. The horns are common in both males and females and can reach up to 70 centimeters in length. There are six subspecies of the hartebeest. There also happen to be two subspecies cross-breeds that have been recognized by certain sectors of the commercial hunting fraternity. Hartebeest prefer medium to tall grasslands (including the savannas), open woodlands and dry scrub bush habitats. These animals are observed to be comparatively more tolerant of high grass or woods than other antelopes common to archetypical plains. Hartebeest are mostly found in East Africa, West Africa as well as Southern Africa. Their diet, almost entirely and solely comprises of grass. It has been observed that hartebeest can survive without water for extended periods of time even though they will drink water daily if available. The hartebeest is one such antelope that is easy to hunt, owing to its sedentary nature. However, the onset of dry seasons or drought will make these animals wander large distances in groups (of course) to seek water and grazing. These animals are generally diurnal in nature; whereby they spend most of the time eating grass in the daytime. It is the females that are found wandering in their home range in groups including 5 – 12 animals. The males on the other hand, leave their mother by the age of four and join bachelor groups. They tend to become solitary and also spread out in adjoining territories. Males consistently defend their territories. Water is an important part of the diet of most hartebeests. The only exception happens to be the territorial male who can make it without water for prolonged periods of time. These territorial males often find another in their ace when they come back from watering or drinking water. Males may get pretty aggressive especially during the breeding peaks. It is not unusual for fights to break out at this time. Like in the case of most antelopes, the hartebeests have also developed fighting skills that ensure dominance while avoiding fatal or serious injuries. But it is important to remember that fights among males over territory can lead into severe injuries. The behavior of the female hartebeest during the time of giving birth is rare for most antelopes. It is noted that the female does not prefer calving in groups in an open plain; rather it chooses isolated scrub areas to give birth and also leave the young calf hidden for several fortnights, attending to it occasionally to suckle. The female gives birth to a calf, after a period of pregnancy that can last up to 7 to 8 months. It has been observed that the female tends to retreat away from the herd to a more secluded area whilst giving birth. The new born calf lies quietly tucked in its hiding place and is regularly nursed by the mother. These calves suckle up for a period of roughly around 4 months. Males are known to stick around with the mother for almost 2 to 3 years, after which they generally join a bachelor group. The females, on the other hand are known to stay by their mother’s side for life. 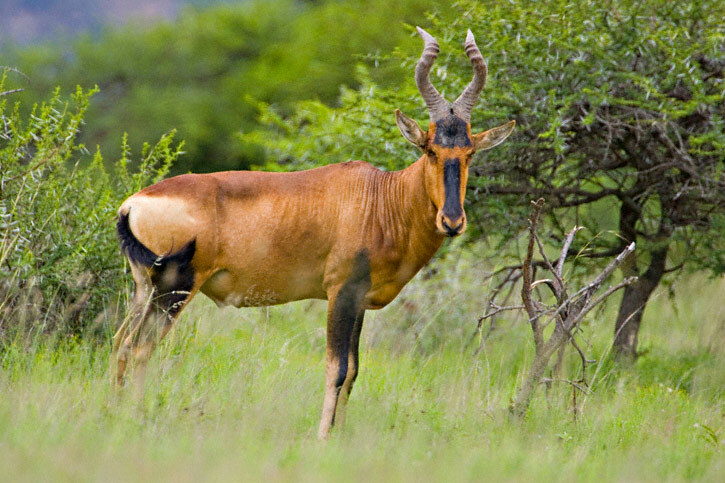 Let us take a look at some cool and fun facts about the hartebeest. It is believed that the ancient Egyptian kind of domesticated the hartebeest, only to use the animal as a sacrifice for their rituals. 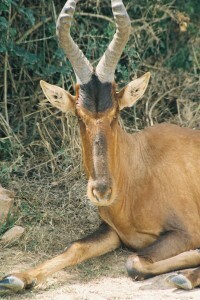 Alcelaphus buselaphus buselaphus, a subspecies of the hartebeest is now enlisted to be extinct. The term hartebeest is known to have been derived from Afrikaans; they originally called it the hertebeest. It was the Boers who gave this name to the animal on the grounds that it somewhat resembled a deer or ‘hert’ in Dutch. The young calves are usually preyed by cheetahs and jackals. The predators of the adult hartebeest include lions, leopards, hyenas, hunting dogs and even human beings. The hartebeest has a lifespan that is roughly between 11-20 years. 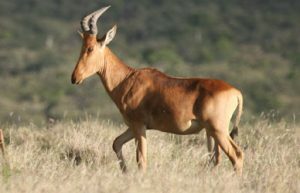 The hartebeest is not an endangered species. 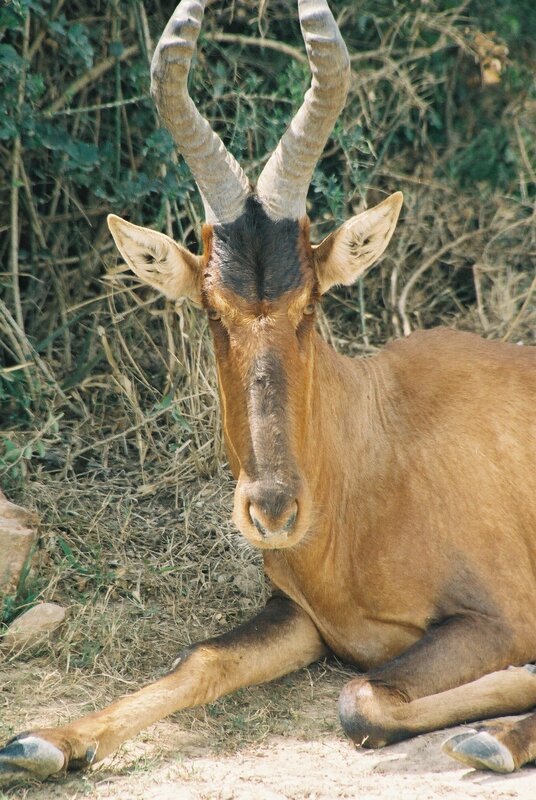 Here are some pictures of the species known as the Hartebeest.